"I've got a knife! Gimme your-- WHAT THE F&[email protected] IS THAT?!?" English Swordsmanship has a history spanning thousands of years. Honed over the millenia through action against almost every invader on the European Continent, the art of the sword is highly regarded throughout English history. The blades of Great Britian have been used and abused against Romans, Vikings, Normans, Picts, Germanic barbarians, Angles, Saxons, Danes, French, Spainiards, and each other. Naturally, they got very good at what they did. This form, in particular, represents the art of swordsmanship in England shortly before and into the Renessaince (circa 1550-1600). The preferred English weapon, before the rapier came into play, was the hand-and-a-half sword. A cut-and-thrust weapon, the sword had an edge along both sides of a wide blade that slightly tapered toward the point. The weapon had a bar-shaped crossguard that often bent outwards in the direction of the tip. Pommel shapes varied anywhere from crescents and rings to rectangular blocks and leaf-shapes. The weapons also tended to be very well balanced, making them feel much lighter than they look. The prime advantage to the English style of swordplay in personal combat over the thrusting style that the rest of the continent was adopting was its use in melee. The English had a tendancy to use whatever worked best, so they adopted the standard combat form of swordfighting (meant for use on the battlefield) even in one-on-one duels. This provided a few advantages over the newer rapier style, mainly the quick and brutal kill as well as its natural advantages when facing more than one opponent. Modern use of this form is mostly limited to displays and SCA combat, but some have been working on restoring it as a legitimate martial art form. It is still extremely rare, almost to the point of being an Exlcusive form (not so thanks to its use in the SCA), making teachers hard to find. Most swordsmen (and swordswomen, of course) will be forced to research the form, rather than learn it in a proper school. 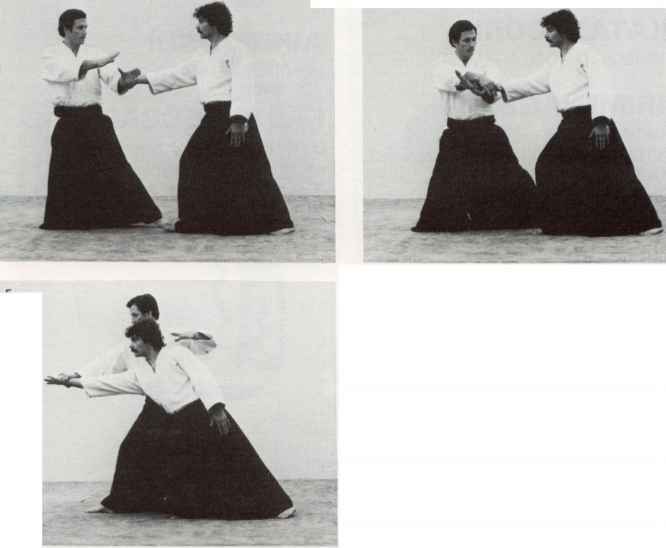 Still, once learned, the art is extremely effective and deadly against nearly any combatant, even with its near total lack of Oriental-style Internal Training. Costume: English swordplay traditionally required heavy protection, running towards full plate armor. For more reasonable clothing, a swordsman will prefer something loose that allows for full body movement, particularly in the waist and shoulders. Stance: Stands upright, knees only slightly bent, both feet in solid contact with the ground. The exact position of the primary weapon varied, but was most often held back or above the head in preperation to strike, point forward.